2. Dickerson, Dub Boppin [unissued] uniss. 5. 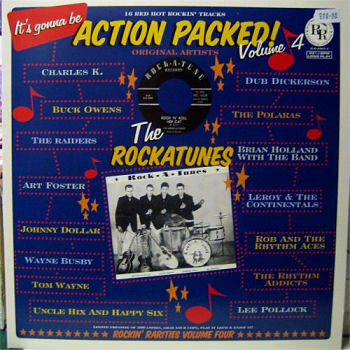 Rock-A-Tunes Rock 'N' Roll Hep Cat Rock-A-Tune (Alb.) 1012 1959/Mar. 12. Busby, Wayne Live Your Life With Care Empire (D.C.) EP 45-510 1960/Sept.